For the chronic pain community, it has been another tumultuous year. At the National Pain Report, we have increased our emphasis on commentary from the chronic pain community—more first-person articles about how folks are battling their pain and sometimes their battles with their government, their providers and their insurers. Today is Thanksgiving—and last year we asked our audience to share with us, what they are thankful for. The response was overwhelming. There were numerous comments about the importance of loved ones, compassionate doctors, fellow patients, pets and others. Frankly it inspired us, and we went and shared some of the better comments as stand-alone stories during December. And to be honest, there were also a few folks who had a hard time finding anything to be grateful for because of their pain and their inability to find relief. 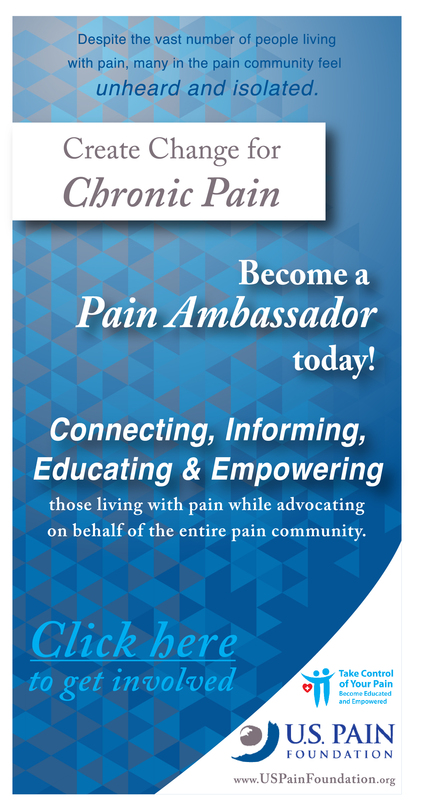 The sense of isolation and desperation and, in some cases, abandonment among many of in the chronic pain community is palpable—and giving those folks a chance to express that is an important job as well. We want to do it again this year. We want to hear from you. So we ask that you share with us in our comment section what you are feeling this Thanksgiving—who and what you are thankful for in as much detail as you desire. At the National Pain Report we are privileged to have been able to get to know a number of people in this field—providers, policy makers, advocates and, of course, patients. It’s the patients who are the most memorable. Your stories are important. 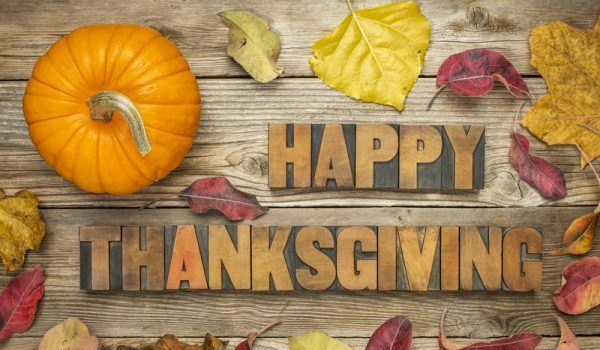 Please share yours and tell us what you what are thankful for on this important day. In the meantime, let us wish you a happy Thanksgiving. We are grateful for your support. If The Appt. Isn’t Going Your Way, Be On Your Way! I am thankful for my life. The healthy years and the unhealthy. My body may be in pain, but my heart and soul isn’t. For this, I’m thankful to God. I am thankful for my husband of 40 years, who meets all my needs and wants in a most loving manner. For my two children, who not only help me, but who bring me so much joy. Although few, but most loving, caring and kind friends! For India, Teddy and Lilo, my dogs who provide me with unconditional love, even on my crabbiest days. For the wonderful pain doctor I have who gets it!! He has been by my side since 2006. For my spinal implant, which has alleviated some of my pain. For all of you! You understand, you give voice when I’m at my worst. And lastly, this column, which provides me with novel ideas, keeping me up to date on what’s going on in the government (smh) and in the pain community. And giving us a voice. Bernie, please stay with us. Your life matters. You are a living, breathing human being. Dont become a statistic. Please!!! I’m glad God loves me and steps in at the right time. It might not look like love because it hasn’t cured me. I am trying to be thankful for everything, but I wish I had someone who loved me enough to fight for me. I wish I had my mother. I am thankful for an almighty God who through him I can do anything! Most days I struggle greatly with intense pain but when I lean into God it somehow gets me to the next moment as some days are literally that. I am so angry at pain management and even more mad at the government. I am choosing today to not be bitter, to thank God for the many blessings and for a Jesus who suffered far beyond my imagination by hanging on a cross for my sake hurting beyond our ability to grasp. Yes, I am still hurting and I don’t want to do anything but I am going to try to get by one day at a time while leaning on Jesus through it all. I truly believe that as much as I resent the government right now, this has brought me closer to my God as I know he is all powerful and has a plan, tho I do not understand it. I am thankful for my daughter, the good health that we DO have. To see, hear, breath, touch, all of the senses that work and a few extra. My furry and feathered kids and grandogs. EVERYTHING that isn’t human. Flora fauna. Oh and for all the good angels out there. And there are soo many kinds of angels! And… for all the wonderful angel peeps that keep this pain report brought to all of us that are so happy to know what is going on. Stephen Lowe – I found your comment to be totally inspiring…Have passport, will travel…it is exciting to think that we have options other than trying to fix a huge political/bureaucratic nightmare which can only really be fixed by removing politics and layers of bureaucracy from the patient/doctor relationship. 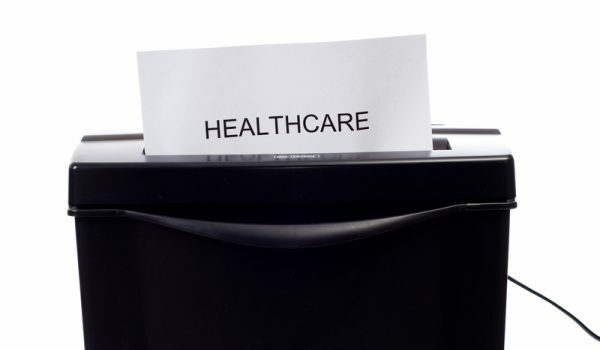 Who’s business is any of the patient/doctor relationship, except the patient and the doctor? We are not free but we must fight to be free – that is what humans do. I am thankful that my doctor increased my pain medicine the day before Thanksgiving so that I could at least get out to see my kids and grandkids. I may not be the same happy, helpful mother and grandmother I’d like to be but at least I could see them. I am also grateful for knowing our Lord Jesus Christ. Without Him carrying me through these senseless times that require people to suffer constant pain, I don’t know where I would be now. Where do I begin? I am Thankful to God for giving me life through my illnesses and the strength to carry on each day, no matter how difficult. I thank you, Ed and awesome staff, for being there to provide us the reports we need to know of and for consistently caring for and supporting us in so many ways. I am also thankful, Ed, for your diligent work and understanding in spite of your own pain issues. I am thankful for those who love me even though I am very alone and without ‘in person’ support…for they know not how they truly effect me and my pain with their own issues and ignorance. I am thankful for all that I continue to learn about Chronic Pain, Chronic Fatigue and Lupus to help me get through my days. @Bernie, I am tearful and heartbroken for you and your decision to give yourself end of life for your birthday. Please hang on. I understand and I care about you and will be praying for you. I do know it is exhausting and difficult, try to keep strong. I send you a warm hug. Dear God, please bring Bernie (and our community) the help that we greatly need to relieve our lives in suffering. We do not understand how it all became this wrongfully,sadly and outrageously out of control. Please help. Amen. 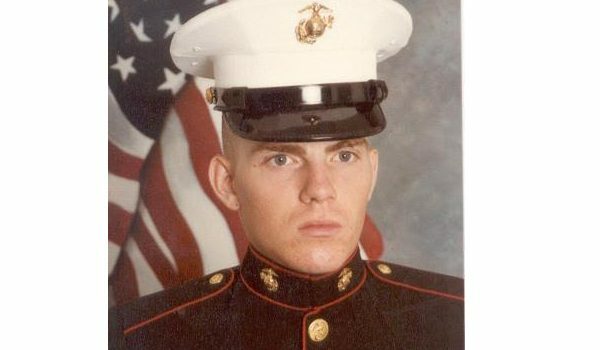 Nov 23rd Thanksgiving weekend for most, is the anniversary of my life changing accident in Hurricane Iwa 1982. Thirty six years of a journey I never anticipated. Burr holes, 11 of 33 vertibrae damaged in a time when hospitals didnt even own MRI machines! Im grateful for the community, Im grateful for the medical advances. All areas. While not all have been successful, they’ve all added to the journey, unfolding before me in ways which would build a strength and support for all of us to understand one another, to listen to one another to always know we are not alone. Even the mistakes Ive made, that doctors have made, treatments which seeming safest, which in hindsight were most dangerous. Life is worth fighting for, no matter how bad your physical pain is right now. There are millions of people who deal with pain in their own best possible way. I hope for those who are less than five years into this battle, you know that we can live better lives, if we fight for our rights to ethical, compassionate care as one. I cant name here the changes Ive seen in thirty six years. Know in your hearts there will always be new options ahead, better awareness and some day every patient will stand with pride and know they have a deeper understanding of life and its beauty. I’m thankful for knowing my Lord, Jesus Christ, and His love for me, and His constant presence with me. I’m thankful for you, National Pain Reports, and all of you pain warriors who wrote in all this year who kept me going! I’m thankful for my caregiver Sox, my cat whom I’ve had going on 9 years now. I thank God for each day I can still wake up and praise Him and be thankful for having made it to see another day. Today is better than yesterday, maybe not as good as tomorrow. I am grateful that after 18 years of suffering with chronic pain that robbed me of any sense of a normal life I got very lucky and stumbled into relief in a most unusual way. My pain pump went on the blink and following a horrible detox period I came out the other end virtually pain free. I can’t say for certain why this occurred and whether opioid hyperalgesia at some point had become the source of my pain. Sometimes I wonder if going through the horrendous detox somehow simply rebooted pain circuits. No matter the basis I got very very lucky but remain an ardent supporter for other pain patients and understand their plight. I remain vigilant for any breakthroughs in the field of pain study and have been heartened by some very recent and real breakthroughs in the understanding of pain syndromes and the brain’s involvement in the process heretofore believed to stem more from the spine. Advancements in electromagnetic brain stimulation appear to be closing in on techniques that may well provide relief for many patients who have found themselves in an otherwise hopeless battle with pain that destroys their lives in ways that few other disease processes can. I am thankful first for Jesus for saving me. And for years, His helping bring stillness to my soul. Thankful for Him for being there and upholding me and going before me to fight my way thru this world, and clear the way for me, because everywhere I go, He’s been there before. I’m thankful for my husband of almost 39 years for all the above reasons, however in a human and not a divine way. Thankful also for my children, grandchildren, and of course my dogs and cats who love me unconditionally . I’m thankful for this forum. You’ve given us people in pain an outlet in which to voice our concerns, and hearing others’ battles with pain props is up and gives us hope where we can pray for one another. You’ve also opened up a lifeline to the powers that be, our leaders in the country so we can be stronger legislatively. I’m thankful for the support you’ve given us. I’m thankful for so many in the pain community who are fighting so hard for change. I am thankful for the people in this organization for helping me to keep fighting. I am mentally stronger today than I was a year ago even though physically not so much. I am thankful to my husband of 29 years who is my caregiver even though hes 73 years old and is not in the best of health himself. I am thankful for my new kitty, Miss Lilyrose because she is soft and comforting yet still crazy enough to make me move my painful tired body off the couch. Finally, I’m grateful that we moved from the city to a small town where i can breathe and meditate and continue dealing with the curse of being in pain for 36 years, when i was 23. Still here, still fighting the good fight. I have so much to be Thankful for that the pain is just a part of me, it has always been that way. I was born with developmental hip disease, both hips were badly misformed. I have been through so much medically. My first surgery at 13. Still, I have my daughter who helps me out more than I can ever say. A son who loves me and helps when he is in town. I have good friends that also help, most of them have some chromic pain issue, its nice that they understand when I say I am having a bad day, they do too. My deceased husband always helped, whenever there were rides to make or groceries to get. He was always there. I could dwell on the pain but my life is worth so much more. God says so. I am most thankful to GOD for allowing me the capacity to merely keep going and not give up! It has been an extremely difficult year with no pain relief in sight, but somehow I press on and just pray that there will be medical advances made so that just breathing in and out doesn’t hurt so DAMN bad every single day! I am blessed to live with my brother who does all that he can to help ( lots of hugs and doctors appointments with never any answers) but he always stays with me. And his amazing dog who lovingly watches over me carefully day in and day out. 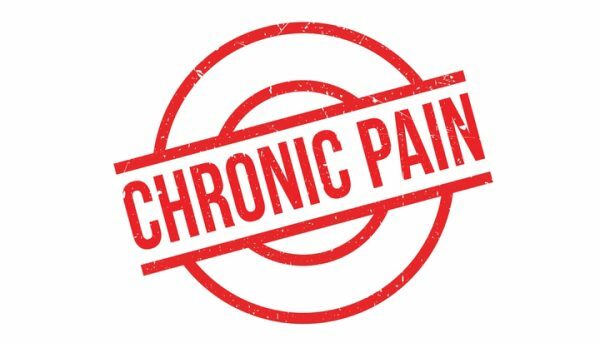 I pray that there will be significant advances made in chronic pain options in my lifetime (I’m 54) but who knows. There is always HOPE and that’s what keeps us all going in the pain community. Wishing that stem cell options were an actual affordable option for us regular folk as I feel this could provide relief to so many of us out here. But big pharma and huge price tags keep this option out of our reach much to our dismay. So there’s hope…that good/bad four letter word. And here’s hoping for new options for us chronic pain patients in 2019! I am not at all thankful for the fact that chronic pain sufferers are being forced to endure 24 hour a day torture when it can be relieved with a few strong pain pills. I am 70 years old and suffer a debilitating congenital spine condition. This morning I had to get back in bed because I couldn’t make the 10 foot walk the bathroom. I don’t want to die in agony. The “opiod crisis” is a manufactured scare tactic full of ridiculous prpaganda from people who are not themselves suffering. After multiple spine surgeries I had pain relef for over two years on a regimen of pain meds. Then my doctor said he would no longer prescribe them to anyone because he received a letter stating he prescribed too many. Excuse me? Who decided this? On what medical evidence? 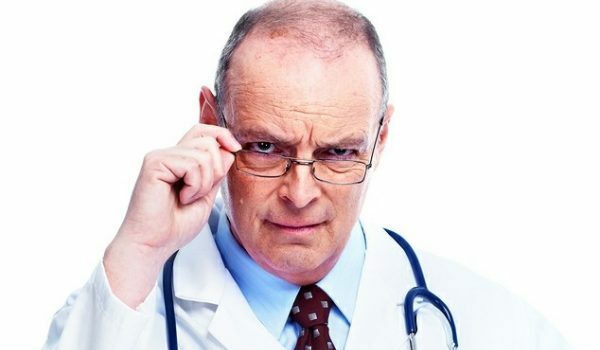 He is the doctor, not the letter writer who knows nothing of my medical history or level of pain. The people who need to fight are physicians who have medical records with which to rebut these arbitrary decisions. Great for my kids fixing dinner, still seems strange to not be able to fix it for them. I made dip. Hopefully will have enough energy to make it through day. Our area has been devastated by wildfires so many lives lost many will never be found. My daughter and best friends lost homes, but their ok. In past would have been out there helping, now could only organize some meals and volunteers, feel very useless. No matter how bad things are could be worse. We all need to be grateful for what we have. Because so many today no longer have their loved one or home. I know how hard it is to be grateful for a malfunctioning body but trying. God please be with all the heart broken families today. God give up pain warriors strength today. Thankful for my kids fixing dinner, still seems strange have always done this year made dip. Glad at least on my feet slow and have enough pain medication to hopefully to get me through the day. Our area has been devastated by wildfires and so many lives lost, my daughter house and my best friends so this is a very sad but greatful Thanksgiving. In past life would have been out there helping community with this horrible lost now all I can do is help organize some meals and other volunteers. My body let’s me know pretty useless anymore, think sometimes that hurts the most. Yes it’s Thanksgiving praying I make it through the whole day. Everyone stay positive these wildfires have shown me things could be so much worse, many bodies will never be found their poor families God be with them. Dear Ed/NPR, In addition to this community and all that share here, I am extremely grateful for my local EDS support group. The wealth of information and camaraderie have been an amazing experience as I learn to navigate a completely different life than most. Wishing Happiness, plentiful coping skills Love to all! I have never been more disappointed in my Nation and the society we live in. It seems reasonable thought and action have succumbed to gross pandering by politicians and regulators who are more than willing to utterly ignore so called “unintended consequences”. The reality is that those consequences are clear and totally intended. The only logical conclusion is that our government is both corrupt and evil, unable to execute even simple reforms to stem opioid abuse without killing the innocent. They would rather pander to the uninformed and seek credit for benefits, while disregarding the costs. You cannot fix stupid. We should all “vote with our feet and leave”. I have no idea where is better, but doubt there is anywhere that is worse. Has there ever been a better time to consider such radical alternatives? It beats dying and suffering here, with expected worse results in the near future. I believe that a reasonable outcome in the US is no longer possible for chronic pain patients. The current government is executing a form of euthenasia under the guise of fighting the “opioid epidemic”. Tell me again how this is so unlike Nazi Germany in the 1930s. Get real people. This is government sponsored euthanasia! Time to leave…All you need is a passport and the will to survive. Happy Thanksgiving to you all, im thankful we all have each other in these hard times. Keep fighting, I hope one day the government, doctors, and insurance companies will be more open minded and see the needs that we all have. God Bless you all! Thankful….it’s a very fundamental word in people’s lives! Most days I feel like I have very little to be Thankful for, but if we look closer at our lives we can find quite a bit. I’m Thankful foremost for knowing my Saviour Jesus Christ, then comes my family & friends. I’m thankful that I haven’t had a surgery in 6 years. Thankful that I have a part time job that helps me financially even though it drains me physically & mentally every week. Thankful for knowing 2 very wonderful people that enriched my life beyond measure, but both lost their fight with health problems in the last 8 months.